An HSA can be opened by anyone who is eligible, regardless of income. Non-members may open HSAs through their employers. For full LGFCU benefits in addition to your HSA learn more about how to join. The LGFCU HSA has no monthly service charge or maintenance fee. There's no deadline to take money out of the account, and no minimum deposit or balance is required to earn dividends on the account. The dividend rate is determined by the board of directors and is subject to change daily. What is a qualified HSA expense? You can use your HSA to pay for doctor visits, prescription drugs or over-the-counter medicines prescribed by a doctor for you, your spouse and your dependents. For a complete list of qualified HSA distributions, visit www.irs.gov and view publications 969 and 502. HSAs can have tax consequences for nonqualified distributions. Consult a tax or financial advisor for additional information about how non-qualified distributions could affect your taxes. Who can contribute to an HSA? As a Health Savings Account Holder you will receive information about our full range of products, services and membership benefits. However, in order to take advantage of these benefits, you must also open an LGFCU Share Account. *A High Deductible Health Plan is a medical insurance plan with a minimum annual deductible and a maximum out-of-pocket expense cap. Contributions for a given year may be made until the individual’s federal tax return due date for that year, without extension, in which case the HSA administrator must indicate that post year-end contributions are attributed to the prior calendar year. 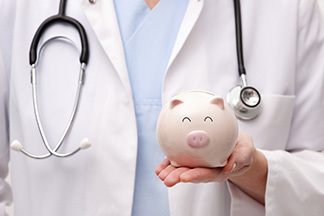 Choose a way to request your Health Savings Account. Is getting a tax refund a good thing?